I'm eyeing Independence Trail, Joy, Spa, Mama Said Sew ... I'm sure I could go on and on ... I can't wait to get some minis done! I am going totally scrappy - three 32 gallons tote bins need taming! Ok... I may use some red and creams from Rounieers (or however you spell it) or maybe Moda Half Moon or scraps... Fun!! I hope I am able to join in. I have Lucy's Crab Shack just waiting for me! I've found another charm pack Im excited to use---"Calico Candies" by Michele DAmore (Benartex). I am in, cant make up my mind, but maybe scraps. I have an heirloom pack that has been sitting around. I am in! I have my book and lots of charm packs and scraps. I love seasonal mini quilts to make my hone look quilty. 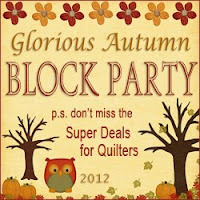 So for the first quilt or two I will most likely be using my "Phenomenal Fall" Charm Packs. I do also have two "Wildflowers IV" Charm Packs that I was thinking to use for some of these cute quilts. I also have lots of scraps. Will we all be working on the same pattern at the same time? If so, when will we know which to make first? Or are we chosing which pattern we want to make when? I`m in and going to use my stash.I have one Chicopee charm pack and don´t know if is enoguh to all the top. Sounds like a plan. I have been knitting but my sewing machine calls to me. 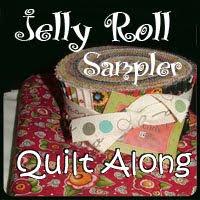 I think I can work in a mini quilt along. I so enjoyed the last one you ran. Count me in! I hope to keep up with the group. I'd like to give reds and yellows some attention (individually or not) lol I'll be drawing from the scrap bin mostly. So much to experience and learn with the mini's - thank you for the opportunity once again! I am not sure which charm pack I will be using. I may pick one up today. 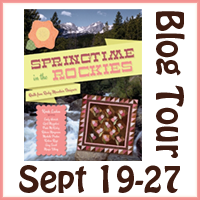 I just ordered your book this morning, this will be great fun. You know I'm in! I'll be using charm packs or scraps or both, depending on the mini. I've got a couple of vharm pcks waiting for use but I'm really drooling over the upcoming Frippery line! I am in also, I have a ton of scraps and likely take from there, blues and yellows. I am thinking Civil War prints blue and red. This sounds like fun. 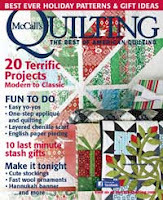 I have never done a quilt along before but I hope to be able to keep up - I have a Circa 1934 charm pack to use, plus I'd like to do some scrappy ones to use up the never ending pile of scraps! I just finished a table runner using an older Kansas Troubles charm pack. I have a charm pack of Aneela Hoey sitting here waiting for the right project. Its Sew Stitchy or something like that. I plan on joining in on the fun. I am joining. 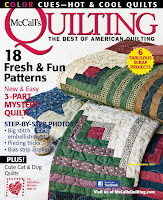 I won a copy of your book and I am looking forward to making these little quilts!! I don't have any charm packs right now but I would love to play with Marmalade. 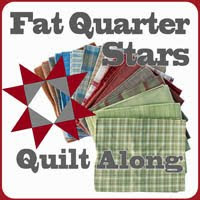 I am new at using charm packs so am very excited about the prospect of this quilt along! I am thinking pinks and greens. I will be using charm packs. They are colorful collections. Just finished my FIRST mini! What fun! I think I'm going to use Christmas fabric from my stash first. I have a Mama Said Sew pack awaiting the start. I love minis - this should be fun! I'm in as long as the book I've ordered gets here in time. I'm going to join in this QAL from the Land Down Under (Australia). I love charm packs and have been collecting them for years. I just received my Simply Charming Minis book yesterday. I'm ready to go. Is it too late to sign up? 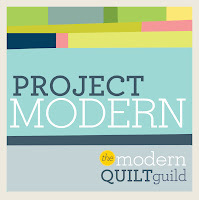 I love mini quilts, and I'm excited to find a QAL devoted to them. Oh, why not add to my piles of UFOs? 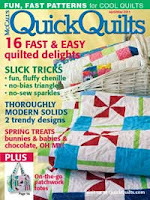 Seriously, I've always wanted to do some mini-quilts and this sounds like a great way to do it! Off the top of head, I have Mama Said Sew, Pezzy Prints and It's a Hoot Charm Packs just waiting for a special project. Thanks for inviting us along. 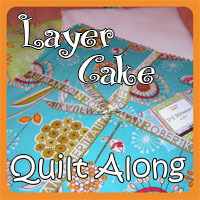 Love mini quilts. Plan a "wall of smalls." That book was written for me. I have so many charm packs waiting to go into some project. Count me in. I hope I am not too late to join. 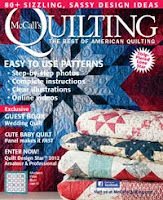 I love small quilts and will probably purchase a couple charm paks new on the market. 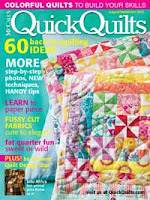 I think I have the same question as Scrappatches----Shall I wait until Sept 25 to start quilting along with the group? Or do I need to have a mini finished by Sept 25? I want to participate. 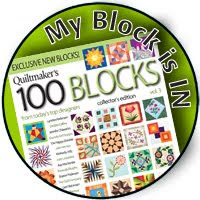 I love mini quilts. My plan is to use some of my scraps. I'd like to join in too, if it's not too late! I'm thinking about joining, it sounds like fun!! 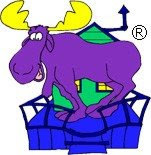 I'd love to use a Cuzco charm pack, but I'm not sure. 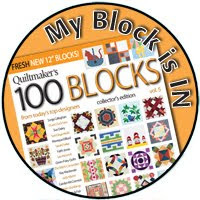 I'm in but not sure what CP I will be using, I would like to see the quilt first and then decide. My biggest fear is not be able to keep up, but I am going to give it a whirl!! Mini's are fun and I have the book finally!! I'm not sure which charm pack I will use, possibly Mama Said Sew. This is going to be loads of fun. I am so excited to get to do the qal when it is actually happening!!! 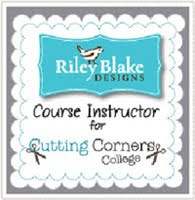 This will be my first! As for which charm pack oh my gosh I have this little problem of a fabric addiction so I have plenty to choose from its' the choosing that will be so difficult! my favorite thoughts at the moment is either a set of batiks I've collected from larger yard cuts or a cute Christmas one I got about 2 months ago. Frosty and Friends. I just found you! I'd like to join if I still can.